It all began in 2002. It was then, at the Royal Route, on 51 Grodzka Street, that the company Osti-Hotele Zbigniew Ostachowski restored the historic tenement house, arranging an intimate, boutique hotel called Senacki in it. Experience and careful study of the hotel art bore fruit of another investment. 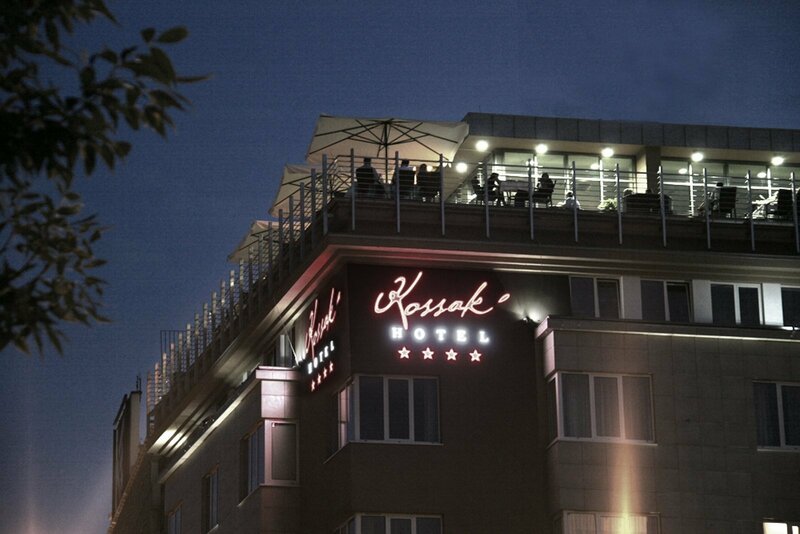 In April 2009, on Kossak Street, a four-star Kossak Hotel was opened. In 2012, after an extensive renovation, Senacki Hotel also received the standard of four stars. Currently, both facilities offer services at the level equalling accommodation offered by the most luxurious hotels in Krakow. Kossak Hotel is located in the centre of Krakow. It is a four-star facility with 60 very elegant rooms with meticulous arrangement, which adds charm to the stay of the lovers of peaceful rest in comfortable conditions, amidst unforgettable scenery and stylish interior. Beautiful view on the Wawel Castle, the Vistula Boulevards and the Old Town gives a foretaste of the emotions which await Guests in Krakow out of the hotel door. Innovatively equipped conference centre is at your disposal, and two restaurants – Percheron and Café Oranzeria – every day seek to provide delicious delicacies to the most demanding connoisseurs.